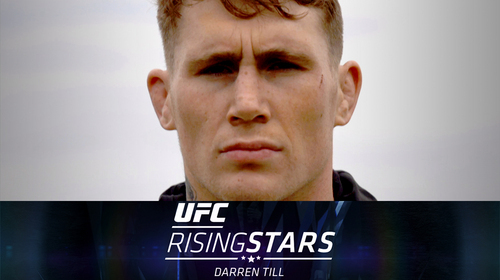 UFC Rising Stars: Darren Till May 14, 2018 (9:57) Since his 2015 debut, UFC welterweight Darren Till has dazzled the division with his captivating style, both inside and outside the Octagon. See the journey that brought him from his perilous beginnings in Liverpool to his thrilling ascent to prominence in the UFC. 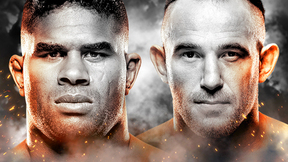 Then hear the sport’s top fighters and analysts reveal why they believe Till has all the makings of a future champion. 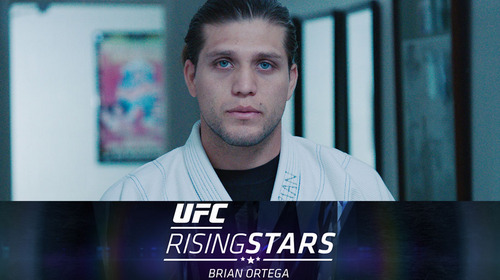 UFC Rising Stars: Brian Ortega Feb 27, 2018 (8:56) After watching Royce Gracie in the early days of the UFC, a young Brian Ortega tried out jiu-jitsu -- and turned out to be a prodigy. Recount his undefeated rise through the UFC as told by Ortega, his trainers, UFC analysts and his opponents. 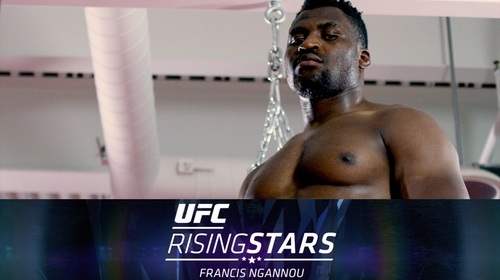 UFC Rising Stars: Francis Ngannou Nov 25, 2017 (10:53) Since his 2015 debut, Francis Ngannou has rocked the division with his five finishes and seemingly limitless ceiling. See the journey that brought him to MMA via Paris, revisit his UFC bouts to date and go inside the science of his unparalleled power.